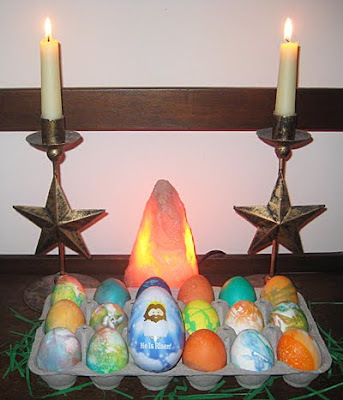 Today I'm giving the whole thing a rethink and considering the possibility that the egg imagery which so dominates Christian Easter is a subtle nod to creation myths more generally. Perhaps it's really, consciously or not, a remembrance of the cosmic egg from which the world was born. 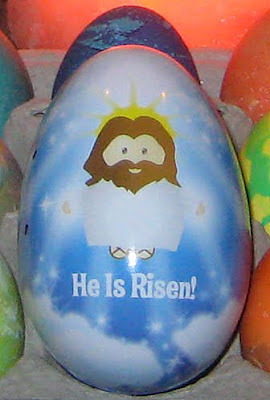 And the egg from which gods have been born only to be killed and resurrected in various forms. Orphic mythology employs themes of death and rebirth found in Shamanic cultures, specifically in the form of Dionysos. 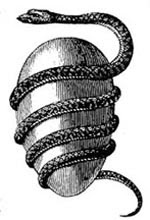 The Orphic cosmogony begins with Phanes -- "light" -- bursting out of the cosmic egg. The light of Phanes ultimately is passed on through Zeus to the child Dionysos, who is killed by the Titans in a scene that replicates a common shamanic journey in which the shaman is dismembered and eaten. The mysteries of Isis celebrate another god, Osiris, who is killed and dismembered. Dionysos, like Osiris, is reborn. Initiation, in many cases, involves the initiated repeating "the death of the Supernatural Being, the founder of the mystery." Scratch the surface of any pervasive mythology and what you find over and over again is that there is nothing new under the sun. 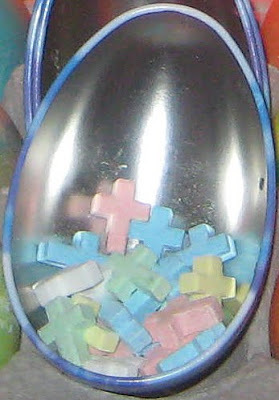 This post was originally published on April 5, 2012.